A major shift in civilizations is about to happen. A genetically modified version of alfalfa is now being sold and planted in fields this spring, and its effects could be wide-spread, pernicious, and impossible to reverse. Alfalfa is a popular “perennial forage crop” eaten by livestock, especially cows, either on pasture or in preserved forms like hay or feed pellets. It is also an important food source for bees. Alfalfa, while being a nutritious animal feed, also adds nitrogen to the soil while it grows and improves soil health and texture by adding organic matter. Ten years ago, a version of alfalfa was genetically modified to be resistant to Monsanto’s pesticide Roundup, also known as glyphosate. Like other Roundup Ready crops, this genetically modified alfalfa is meant to allow farmers to spray broad-spectrum herbicides to kill weeds without harming the alfalfa crop. According to Monsanto, the intent is to allow farmers to use less pesticide. But the effect may ultimately be the opposite: while Roundup Ready crops are relatively new, in many places they have already become weeds. If you grow Roundup Ready soybeans in a field one year, and corn the next, leftover soybean seeds can act as herbicide resistant weeds. Moreover, genetically modified traits are not limited to the crops they are put into. Most domesticated crops we depend on have wild ancestors and wild relatives with whom they exchange genes and as herbicide-resistant genes move into feral plants, farmers will have to spray more herbicide, not less, to kill these new genetically modified weeds. Genetically modified alfalfa was at first held back from both Canada and the US markets because of deep concerns about the its long-term effects. Bees are amazingly effective pollinators: they move pollen many kilometers. Because bees feed and pollinate alfalfa, there is no way to isolate a genetically modified alfalfa crop in an area where bees cannot carry the genes to an unmodified alfalfa flower. Once planted, there is no possible way to stop the genetically modified trait from spreading to organic and conventional farms and crops. Alfalfa is a key species in our pasture and hay fields, along with other perennials like clover. Because it is a perennial, it is reliable. Its deep root systems make it resistant to drought and the challenging whether that climate change is already bringing. But again, the genetically modified trait has turned those very qualities against us. Unlike annual crops, which are mostly finished after a single year if not replanted, the genes in perennials like alfalfa will persist forever. Once released, there is no way to contain it. How this will ultimately affect organic farmers and our certification is unclear, but it will not be good. Conventional farmers and the land itself may ultimately suffer from a crop that will mean more herbicide-resistant weeds and more pesticides sprayed. “Despairing white middle-class has long yearned for a white knight to fight for it against the global economic elite.” – Trump is that white knight. Trump, to enter the race to the GOP nomination, from a billionaire real estate mogul, has entirely reinvented himself and could soon attempt another transformation. In words and deeds, he built his GOP candidacy by antagonizing Latinos and Muslims, immigrants and women, Jews and African-Americans, Asian Americans and the disabled. If he walks away now from his vows to deport 11 million illegal immigrants and to block Muslims from coming into the United States, he would abandon the source of his real political power: the rage of angry despairing white American middle-class. Starting now, Trump will talk and act as if he was already elected as an assertive and authoritarian president demonstrating true leadership and determination. Instead of bullying and arguing with his opponents, he will ignore them and bring new people under the spotlight with him, people showing leadership and determination, people successful showing resilience with a proven track record demonstrating outstanding performance and results. This will no longer be a popularity contest. This will be the ultimate demonstration of the Trump power. The question is not if Trump is going to win the nomination of the GOP, Trump will be the Republican nominee. The real question is: whom, from Hilary or Sanders, will Trump have to face for the presidency and can he be successful. The answer to this one is easy: whomever Trump has to face, he will emerge the winner. Facing Sanders would be a closer call but still. While Trump is a billionaire capitalist turned as a greedy, greedy, greedy socialist and Sanders a self-avowed socialist, both men have tapped into a similar zeitgeist, as Americans are increasingly angry about stagnant incomes and a lack of economic opportunity despite the recovery since the global financial crisis. Trump’s supporters are convinced that he will “make America strong again” while Sanders’ fans believe that he will make the country more equitable for all Americans. Trump is no longer in the GOP nomination race mood. He is now in the presidential race mood. This is a revolution of the middle class, a revolution of the people. Trump winning Iowa tonight, nobody other than Sanders can stop him. JMD is a talented Futurist, Public Affairs & Communications Strategist. This Blog appears once a week, every Monday with some occasional extra posts once in a while. Click on the “Following” link to get every new posting as soon as its goes live. All actualities supporting our propos may be found on our Journal Edition of The Futurist Daily News. To find out “Daily” what is really happening in the world, follow my Daily Twitter Updates. 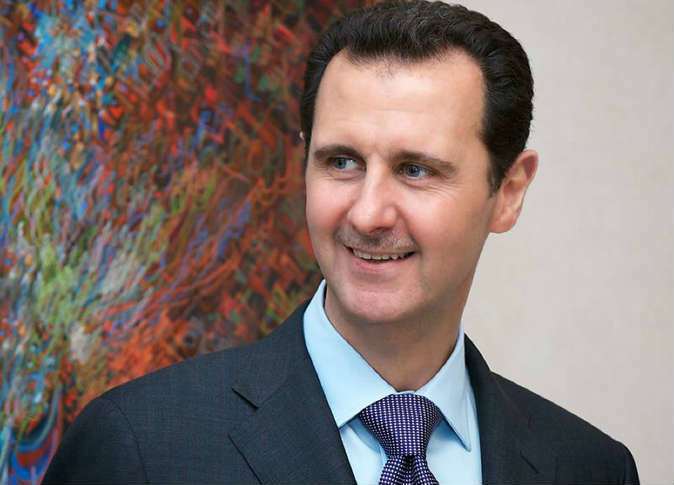 As I already have predicted it on 16 March 2012, last Tuesday, capturing another seven-year term in the middle of a bloody three-year-old uprising against his rule that has devastated the country, Bashar Al-Assad, has been re-elected. While Russia defends Al-Assad reelection as fair, the opposition and its Western allies, including the United States, have denounced the election as a farce. Hilary would have made a better president and, this will be a never-ending story. Michel Ouellette JMD is a talented keynote and motivational speaker, public affairs & communications Strategist. This Blog appears once a week, every Friday with some occasional extra posts once in a while. Click on the “Following” button to get every new posting as soon as its goes live. All actualities supporting our propos can be found on our Journal Edition of The Futurist Daily News. According to theory, the Big Bang occurred approximately 13.798 ± 0.037 billion years ago, which is thus, according to the model, the age of the Universe. In seconds 13.798 ± 0.037 billion years ago, the Universe went from nothing to an extremely hot and dense state rapidly expanding energy cloud. After its initial expansion, the Universe cooled down sufficiently to allow part of the primal energy created and released by the Big Bang to be converted into various subatomic particles, including protons, neutrons, and electrons. Though simple atomic nuclei formed within the first three minutes of the Big Bang giving birth to the Universe, thousands of years three hundred thousands passed before the appearance of hydrogen, helium and lithium, the first electrically neutral atoms. Later, through gravity, giant clouds of these primordial elements coalesced to form the stars and galaxies allowing heavier elements to be synthetized either within stars or during supernovae. Over time, Over a long period of time , the slightly denser regions of the nearly uniformly distributed matter gravitationally attracted nearby matter to grew even denser and form more gas clouds, even more stars and new galaxies, all the astronomical structures that we can observe today. The reality of Big Bang theory depends on two major assumptions: the universality of the laws of physic and the existence and reality of the cosmological principle. The cosmological principle states that, on large scales, the Universe being homogeneous and isotropic, an important feature of the Big Bang “spacetime” is the presence of horizons. Since the Universe has a finite age, and light travels at a finite speed, there may be events in the past whose light has not had time to reach us yet, thus creating a limit or “past horizon” on the most distant objects that can be observed today. Conversely, because the Universe is still expanding, and more distant objects are receding ever more quickly in space, light emitted by us today may never catch up to the very distant celestial objects and bodies. This defines a “future horizon”, which limits the upcoming events that mankind will be able to read or influence. Modern observations of the accelerating expansion of the Universe imply that more and more of the currently visible Universe will pass beyond our “actual event horizon” and out of contact with us. The eventual result and consequences of such observable phenomenon and fundamental laws of the Universe is still unknown and highly unpredictable. Will only gravitationally bound systems, such as galaxies, remain together to be subjected to a “Heat Death” finale as the Universe expands and cools? Or will, according to the “Phantom Energy theories”, galaxies, clusters, stars, planets, atoms, nuclei, and matter itself, ultimately be torn apart in a “Big Rip” resulting from the ever-increasing expansion of the Universe? These are questions that we still cannot answer today and probably will never be able to answer as long as we will not be able to travel and communicate in space faster than light. 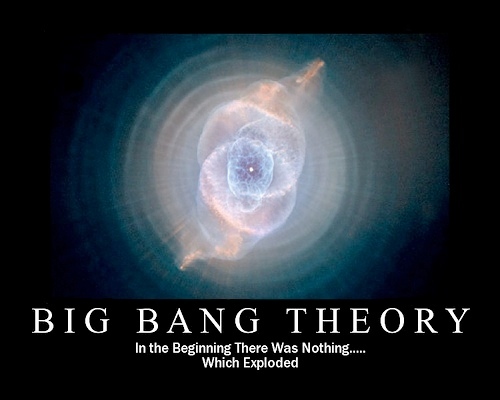 Nevertheless and contradicting all religious, philosophical and spiritual actual and immemorial beliefs, since its introduction in 1927, the Big Bang theory has been the prevailing model and explanation for the early development of the Universe, the creation of Heavens and Earth. Today, while most everyone and all religions of the world admit and concur with science, some believing the Big Bang theory of the creation of the Universe still implies a “Creator”, while others argue that Big Bang model and cosmology makes the notion of a “Creator” or the “Divine” absolutely unnecessary and superfluous, the Big Bang theory is still one of the liveliest and the foremost areas in the discourse between science and religion. No Creator, no God! This is now the foremost raging debate between creationists and evolutionists. 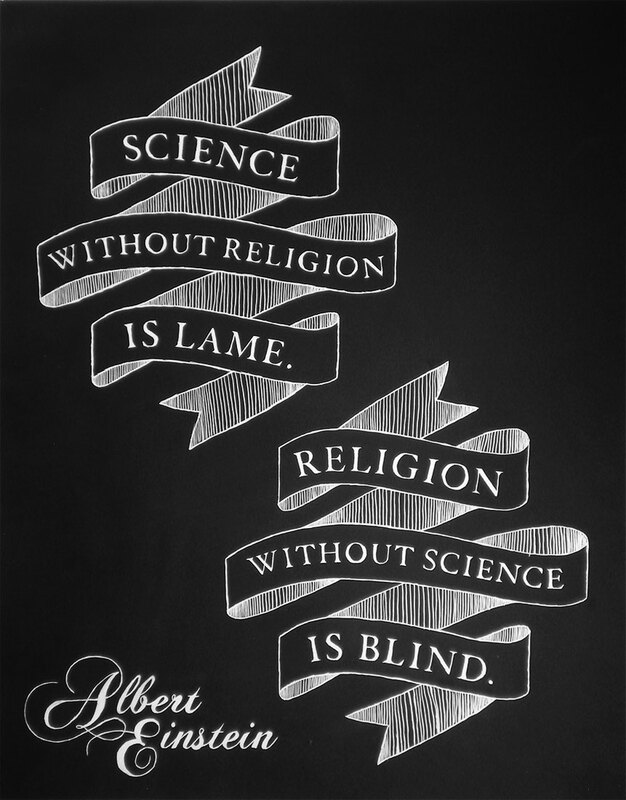 And what is it to say about all these religions, these philosophical, religious and spiritual beliefs? If indeed there is a creator, if indeed the Universe, as well as mankind and all humanity is the result of the intervention of the divine, who is this omnipotent, omnipresent almighty “God” that created Mankind, the Universe, the Heavens and the Earth? Where does he come from and, more importantly, whose “God” is it that is the “Creator” and whom is he speaking too? For the creationists, whatever their nationality, their religious or spiritual background, for the tenants of the existence of a supreme omnipresent and omnipotent being or deity, their “God” and only their “God” is “The Creator” and, for every one of them, especially the more fanatic, they are all, each one of them, ready to die confessing or to kill whoever do not share their faith and, all of this, only to prove their point. While the reality of the Big Bang is well established, it is still a model of the creation to be likely further examined and refined. As for the reality of the “Divine” and “God,” lets solve that issue once and for all. Beware of the false prophets! Science and technology are about one hundred to two hundred years further down the road into the future than the average person could realize. Scientific discoveries, geopolitical strategies, economic solutions, military planning, medical advances and educational solutions always resulted from continuous research, study of the past historical models, logical rationalism, all such processes being “left-brain thinking and processing” or “rational thinking and data processing activities” used to approach modern-day life reality. Another way of overcoming the challenges of dealing with the modern daily reality is through what is called “right-brain thinking activities”, such thinking process being tremendously more creative and intuitive than the rational way of thinking and processing information. Both, the “left-brain” and “right-brain” thinking processes, are necessary parts of predicting the future with accuracy. In addition to the information generated by our neurological, physiological and biological pathways, some will argue that it is possible to access information and superior knowledge, from what is often referred to the “spiritual dimension” or “spiritual world”. Our Western culture has often displayed bias against the existence of the possible existence of other or inter-dimensional knowledge. By negating this possibility, science is cutting itself off from an essential part of the reality of many people of the world that truly believe in such a reality and possibility. Even though many of our modern days left-brain thinking scientists are dealing with sciences such as Quantum Physics and String Theory or the existence of at least eleven dimensions, they still refuse to acknowledge the spiritual as a source of valid or acceptable information to provide solutions to the many existential problems that the world is now facing. Whatever the arguments for and against the validity of the spiritual dimension as a source of knowledge and wisdom, we appear to be reaching the end of an era and witnessing the approach of a new one. A singularity of infinite complexity started a few years ago and we are now at this precise moment where everything is accelerated, where anything and everything imaginable can and often will occur simultaneously. What we are dealing with now is a more and even more precise understanding of the real intrinsic nature of our multi-dimensional universe. This inevitably brings up controversies about age-old concepts such as: the existence of “God”; time; eternity; death; afterlife; heaven; hell; paradise on earth and mankind’s destiny. According to the believers, since the days of the Garden of Eden and the Tower of Babel, mankind has received infinite information and the reliability of this information and the source of this information can be quantified, categorized and discerned. But in our present time we face an interesting dilemma. Michel Ouellette JMD is a talented keynote and motivational speaker, public affairs & communications Strategist. For more about “Making It” in the years to come and coming soon: “Standing Out” by JMD.